EFI Rialco formulates color systems for the timber preservation sector, and dye powders and other components for the ink sector. EFI Rialco is the leading supplier of formulated color systems for use with timber preservatives. 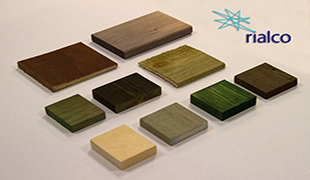 Our research and development program has enabled us to provide a wide range of colors, always ensuring compatibility with the major available preservatives used to treat wood.